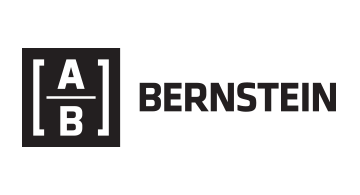 Bernstein is widely recognized as Wall Street's premier sell-side research and brokerage firm, with a global equity trading platform that spans the U.S., Europe, and Asia. Our firm was founded in the U.S. in 1967 and in the U.K. in 1999. Our research and trading capabilities are sought out by leading investment managers around the world, and we are annually ranked at the top of our industry by acknowledged arbiters. In independent surveys of major institutional clients, Bernstein's research is ranked #1 for overall quality, industry knowledge, most trusted, best detailed financial analysis, major company studies, most useful valuation frameworks and best original research. In Institutional Investor’s latest annual client survey, the leading survey by which research analysts in our industry are evaluated, over 90% of our U.S. analysts and the majority of our European Analysts were recognized as among the best in their respective fields - more than any other firm in our industry. We began operations in Hong Kong in 2010, and now cover a range of sectors across Asia. Our European research team is also home to Extel's #1-ranked analyst across Europe. Research has always been Bernstein's calling card. The brand is defined by our renowned Blackbooks, known for their unbiased, in-depth company and industry forecasts. We have a community of Research Analysts who are acknowledged thought leaders that typically have many years of experience in the industries they cover. Our reputation is for the very highest caliber of independent and disciplined investment and industry analysis.